Love the blue gray. I'm sure it will be beautiful when you get done. it's a puzzle, that's for sure... have a beautiful day making your home! My home has had some confused rooms too Leslie!! I love how you are going to make it functional for many different aspects of life and I know it will be just amazing! Oh wow. What a difference the paint color made. The inspiration pictures make an excellent spring board! It will be so lovely. I like that your home brings glory to God. Your new paint color is lovely, such a serene background. 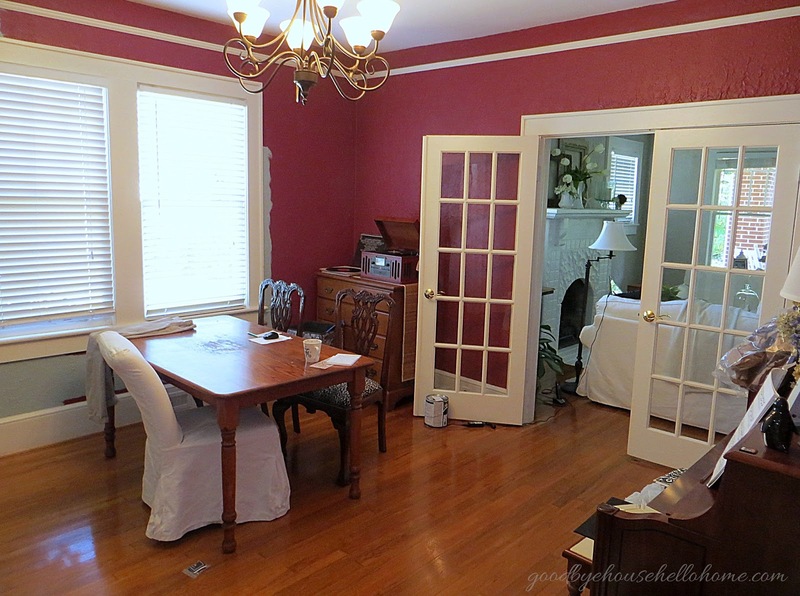 I love the color for this room and the inspiration photos...divine! I can't wait to see what you come up with, it's sure to a hit with the family. I have always held the opinion that WHITE WHITE WHITE = VERY SPIRITUAL AND NEAT! The white color on the walls has changed the look of the room. 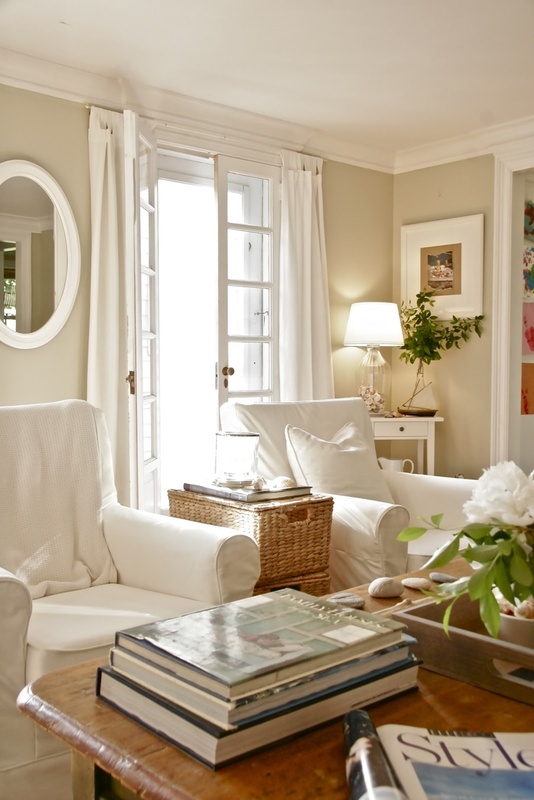 Whether it is your 3 purpose room or not, white surely entails it into becoming a beauty! It will be lovely when it's finished! I'm not usually a person who gravitates toward gray, but it sounds so peaceful and pretty here. By the way, I'm from the Upstate of SC too! I hope we'll see one another at Allume. 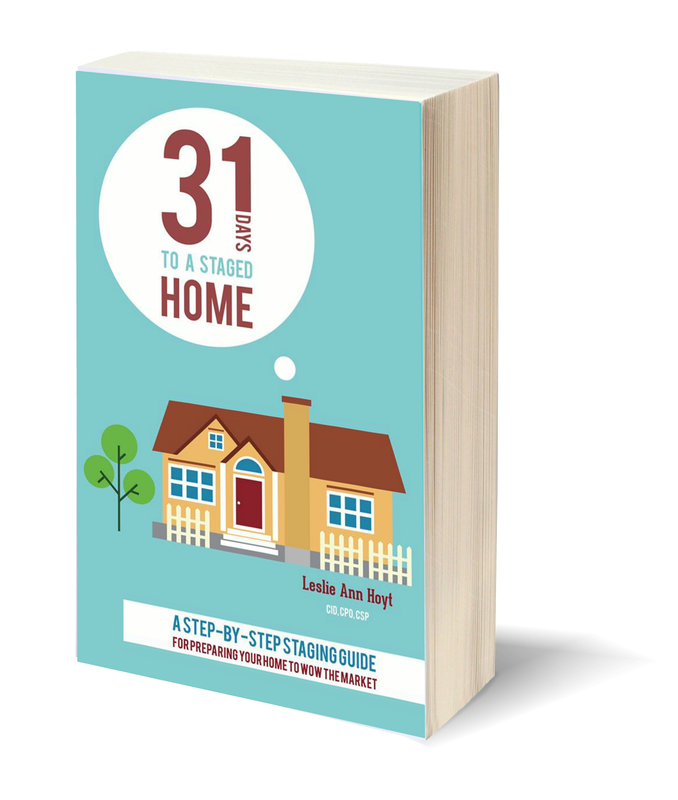 Inch by inch, you are transforming this house into your home. 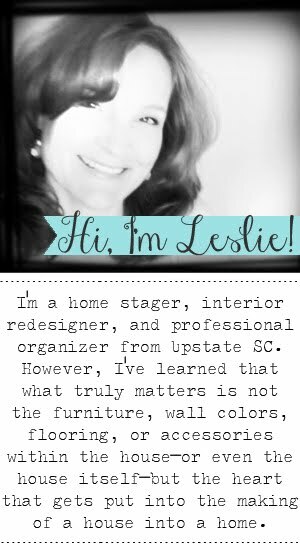 Leslie, you have such a gift for organizing your home and getting LOTS of function out of your spaces! I know your dining room will be a visual and functional treat before you know it. 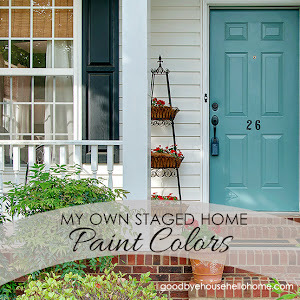 :-) LOVE that paint color! 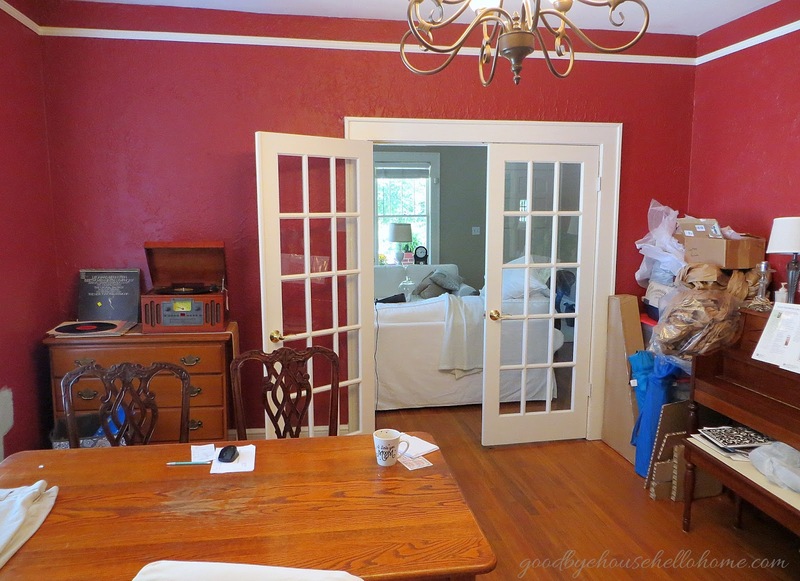 Transforming a house into a home is quite a challenging task. Nonetheless, all your toils would be worth it when you see your family enjoying every area of your home and not wanting to go anywhere else. 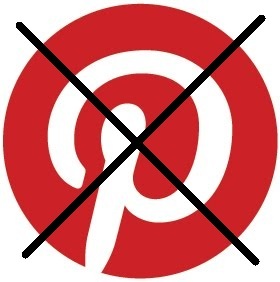 Hi P, stopped by to say hello (not on fb anymore...all things permissible, not all beneficial...for this bunny). 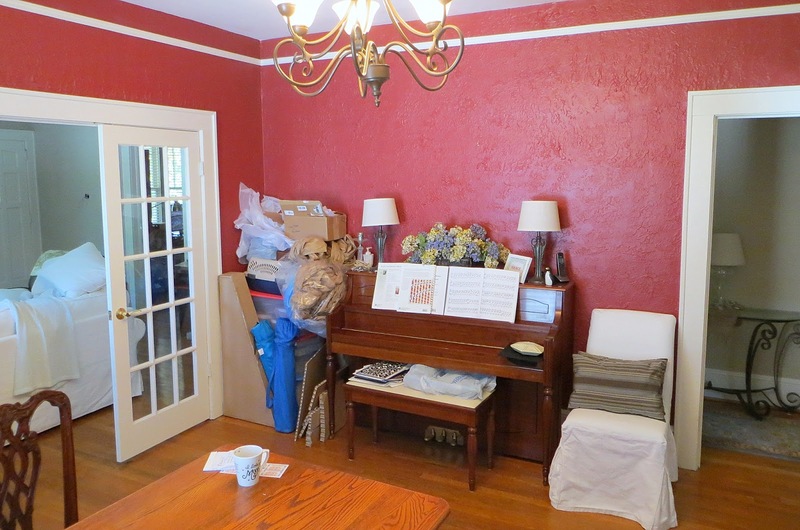 Love the new paint color you chose, any color that does double duty when the light changes...gets an "A" in my book. I don't know if you are like me, but I used to move stuff around several times to get the right location for look, function and flow. Now I found a cute online gadget at BHG.com that does my furniture moving for me....and you can save it, print it and it free. 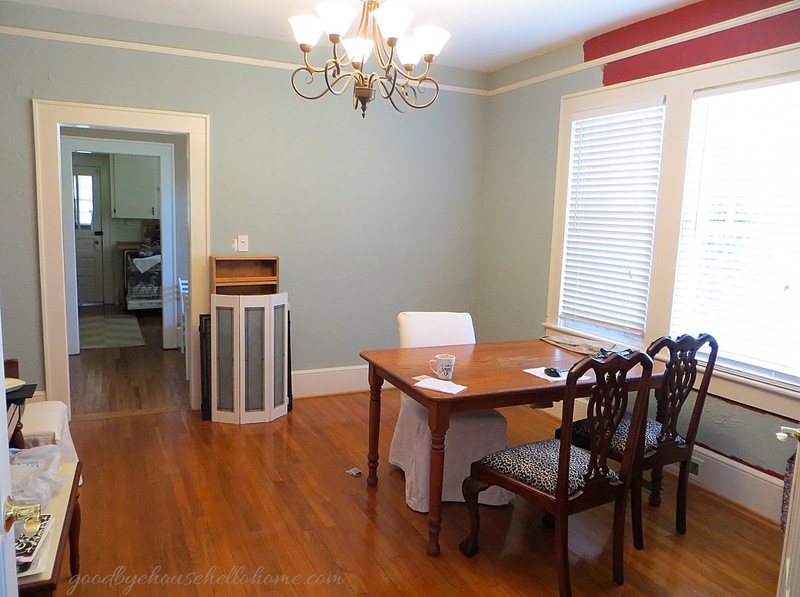 Can't wait to see the updates on your dining room! Great Transformation! I think you made the right thing in transforming the room. It's a great work! Where do I get your e book? Simply awesome! I like the simplicity of the colors. It makes the house sophisticated yet cool. Red and white are lovely. 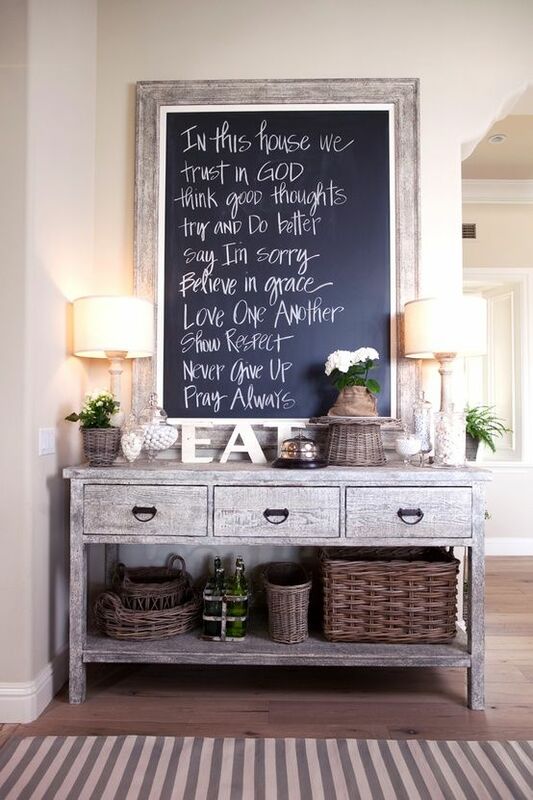 I love your third inspiration with the framed chalkboard and the hallway table, really cool. The color you chose to cover the "Blood Red" is really fantastic! I think it will look fantastic when it's done, I like the inspirations photos. Love what you are doing to that room! It looks beautiful and gorgeous! Great job! So....I love it all, but I am trying to copy your sideboard a bit. What material are the letters EAT? Did you paint them yourself or find a great place to buy the set? Thanks! !